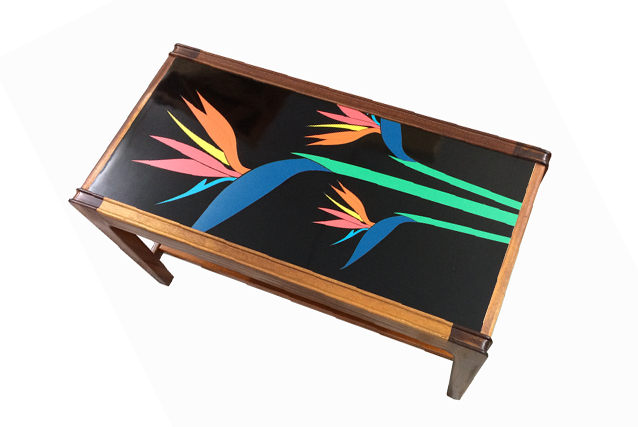 A unique coffee table with a black gloss formica top and a birds of paradise modern marquetry inlay. 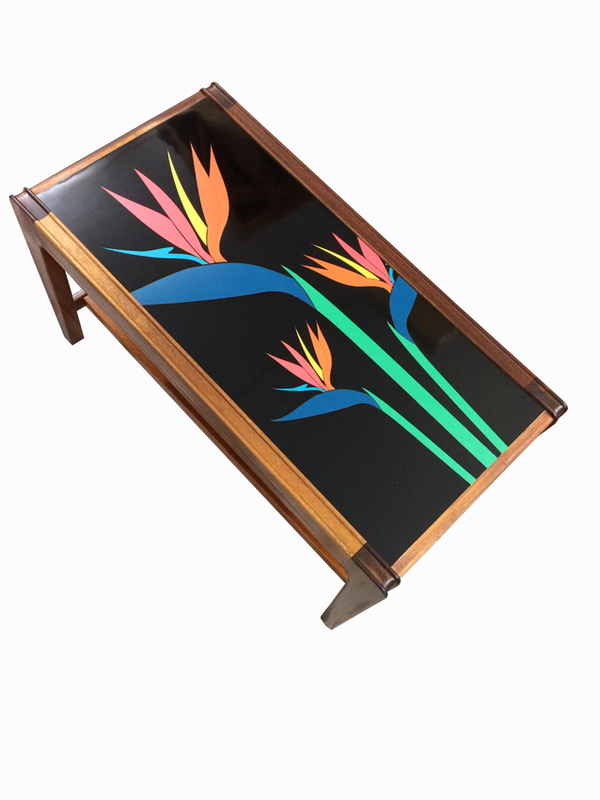 The Birds of paradise is made up of green, petrol blue, yellow, orange, energy, and electric blue formica pieces. 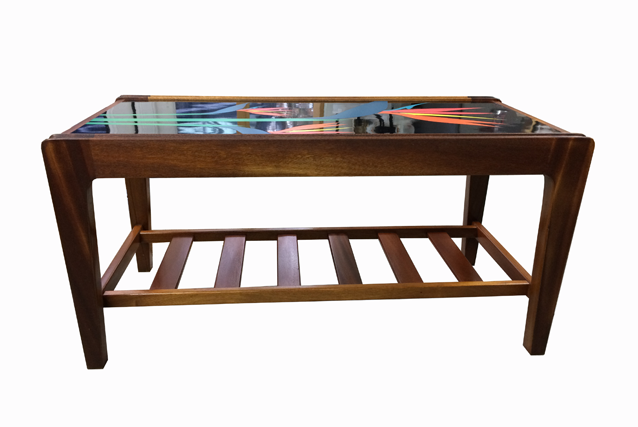 This piece is unique. Formica can be wiped clean, easy to maintain and is heat resistant. There is a handy magazine rack underneath. 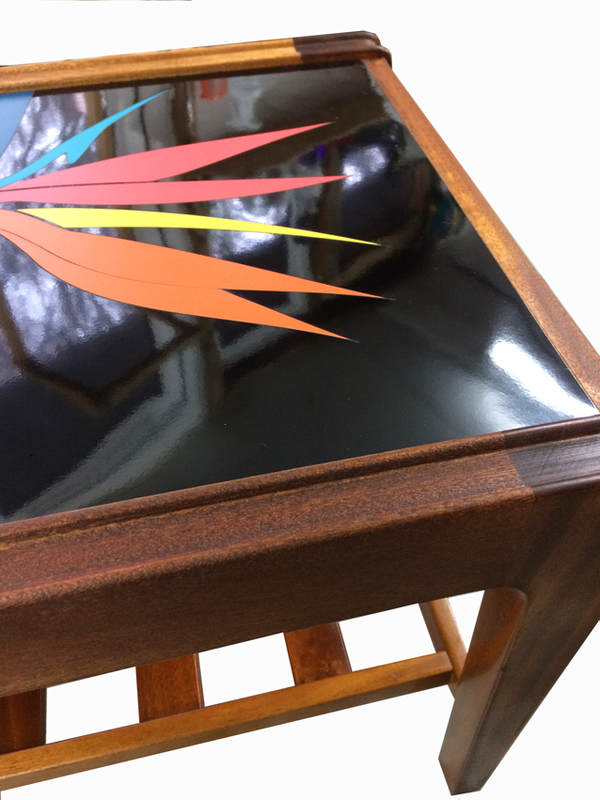 This Table measures 70cm x 36cm x 40cm high.